Spin ‘er up, and call it alien! 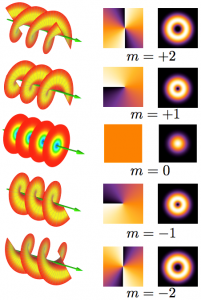 Harwit describes a characteristic of photons that most, including this blog writer, did not know actually existed: orbital angular momentum. On top of this description, he also explains that we are able to incite large values of this momentum on photons ourselves and that we can (sort of) measure this value. Since nature doesn’t make photons with such high orbital angular momentum, such a detection would be an indication of artificial origin. I must confess, this paper basically goes completely over my head, which I suppose could be formed as a sort of critique. I think it is important in science in general, but also in something as interdisciplinary as SETI to be clear in one’s writing and to lead the reading through all of your arguments, even if this means sometimes being repetitive or dumbing down your work. Although fields such as astronomy are marked by academics making things excessively convoluted to make them seem above the populace, I’d like to believe those days were over, and should have been over by 2003. Someone with a degree in physics or astronomy should be able to understand this paper, and although it could be my lack of coffee, Harwit should have written his paper at a more comprehendible level. Given my lack of complete understanding of this paper and the fact that this paper is now 15 years old, most of my musing might not be all that interesting. For instance, how far have we actually progressed in this? Can we now readily inflict orbital spin on a photon and then detect it? Can we, with our current technology, encode messages in these photons, send them, and then later detect them? A quick Google search has showed me that Wikipedia is, once again, a bro. Preliminary tests of radio and microwave photons showed that we are able to transmit 32 gigabits per second over the air, and 2.5 terabits of data per second through optical fibers. This is fantastic and amazing; this would revolutionize the telecommunications industry around the world! It reminds me of Artemis by Andy Weir, but with less mafia. Unfortunately, we have apparently not yet figured out how to reliably measure the orbital angular momentum. 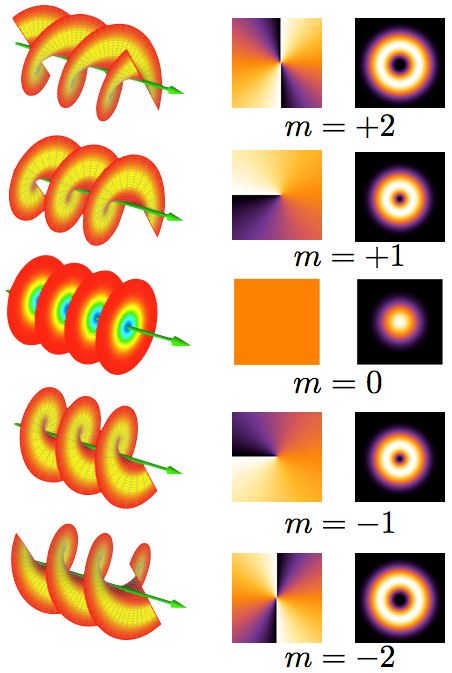 Since orbital angular momentum can have as many states as it wants, there is no device that can separate out more than two modes. A diffractive holographic filter is promising, but this idea is still being investigated. Previous Previous post: Reaction to Hippke 2017 (Non-EM Carriers): Is the SETI search too narrow-minded?